The opening moments of Marvel's first trailer for Avengers: Endgame are grim, as Tony Stark is seen recording one last message for Pepper Potts. Following the Decimation, Tony appears to be helplessly floating through space with no food and no water and death on his doorstep. But, this being a Marvel movie, things aren't what they seem. There's absolutely no way Tony will die alone in space—at least not without first putting up a fight. So, although the trailer makes it seem like Tony is about going to die, chances are help is on the way. There are a few possible ways Tony will survive before he runs out of oxygen, which we detail down below. Captain Marvel will make her MCU debut when her solo movie hits theaters next March. After that, she'll turn up in Avengers: Endgame and help the Avengers defeat Thanos. While she didn't appear in the new trailer, it makes sense that the first Avenger she meets is Tony Stark, because he helped kick off the MCU. However, seeing Captain Marvel have a serendipitous encounter with Tony seems a little too easy. What are the chances she flies by Tony on her way to Earth? You have a better chance of winning the lottery. "Oh, Nick Fury paged me and I was just passing through, so…"
Perhaps Marvel has a more clever twist to their first encounter. Maybe she's chasing a Skrull ship when Tony gets caught in the middle. When/if Captain Marvel does meet Tony way out there in the cosmos, will she know what caused half of all life to disappear? 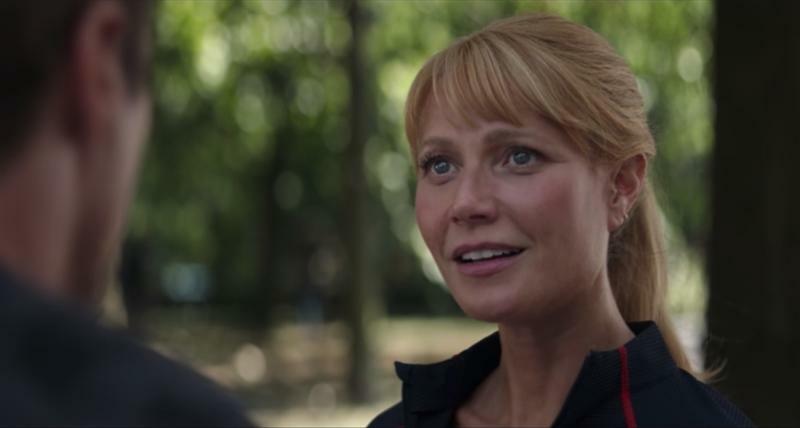 At first, suggesting Pepper Potts will be the one to rescue Tony sounds ridiculous. How could she possibly reach him way out there in space? And how do we even know that she survived the Decimation? Unless she has a spaceship, there's absolutely zero chance she can help him. Not so fast. If Pepper were to somehow lock on to Tony's signal, there's the slightest chance she can come to his rescue. How? By using specialized armor, something we've seen in the comics. There has been a lot of evidence (and speculation) that Pepper will finally don her Rescue armor in Avengers: Infinity War, an event fans have been waiting years to see. With Tony at his lowest point and with no hope of rescue, it would only be fitting for Pepper to be his savior. At the end of Thor: Ragnarok, Thor and the people of Asgard are seen heading to Earth. They don't make it, because Thanos invades their ship and slaughters half the people on it; the other half escape, including Valkyrie and (hopefully) Korg. Although we don't know where the remaining Asgard people went, they could come to Tony's rescue following Thanos' snap. After all, Tony would know where Earth is, simultaneously allowing him to return home and provide refuge to the Asgard people. People would riot if Tony were to quietly die while stranded on The Benatar. But there's the tiniest chance he will perish, only to return when the Avengers go back in time using the Quantum Realm. It would surely be a shock to see that happen, but there's virtually no chance that will. Remember, Doctor Strange sacrificed the Time Stone in order to save Tony, so we know his survival is incredibly important to defeating Thanos. That doesn't mean, however, that Tony won't survive beyond Avengers: Endgame. Chances are, Tony will survive in a way that we didn't even think of, like he somehow slips through a portal that conveniently places him on Earth. We'll find out once and for all when Avengers: Endgame hits theaters on April 26, 2019.